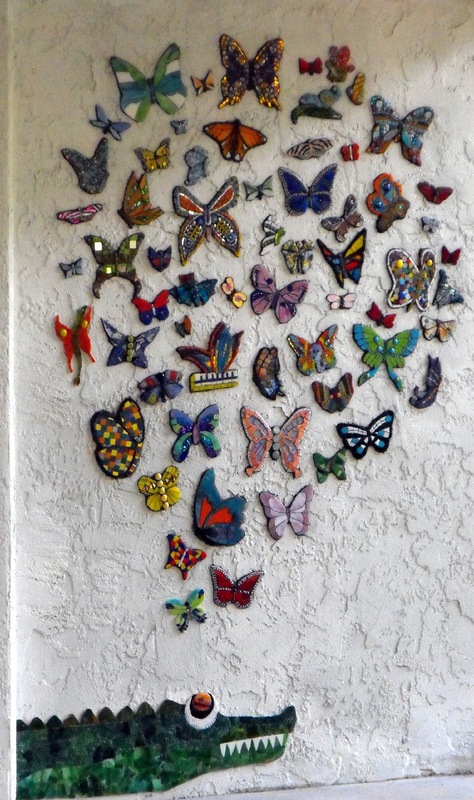 Thank you for your interest in The Butterfly Project, a public art installation located at the Calusa Nature Center at 3450 Ortiz Ave., Fort Myers, FL. 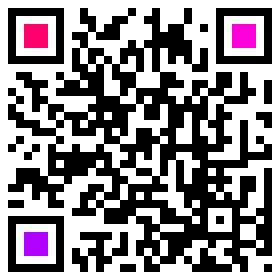 I am glad that you would like to feature images of the collaborative project as part of your article or blog post. Please include the following attribution under any photos that you use: © 2011 Eve Lynch. Please also note that all of the artwork, images of artwork and blog posts are copyrighted by Eve Lynch and the prospective artists. The work is licensed under a Creative Commons Attribution-Noncommercial-No Derivative Works 3.0 United States License. The donated butterflies came from all over the United States and from Canada, St. Lucia, England, Germany, The Netherlands, Australia, Cyprus and Russia. The butterfly that traveled the farthest to be part of the art installation came from Australia and traveled almost 10,000 miles! 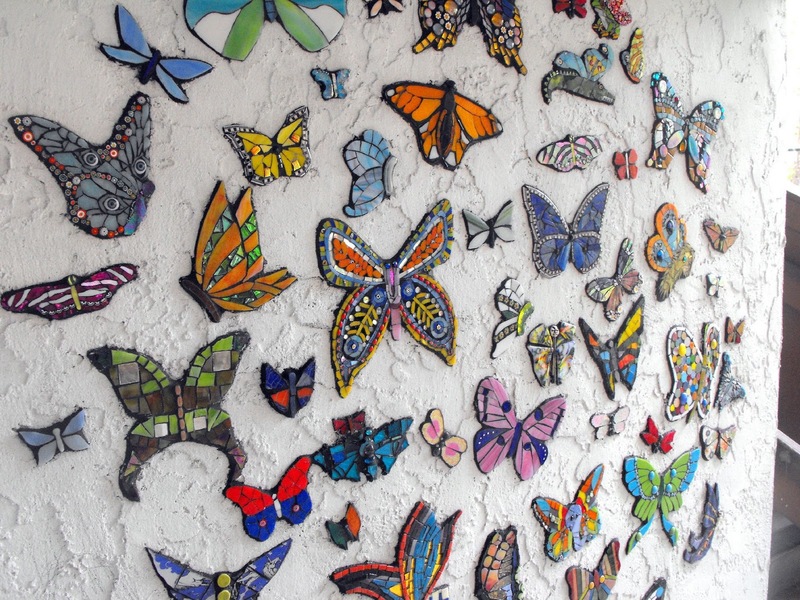 (above) This is a photo of the 3 foot glass mosaic alligator and mosaic butterfly cloud on the main wall at the Calusa Nature Center. The butterflies that make up the cloud were donated by artists from all over the world. This wall includes artwork from throughout the United States, Russia, St. Lucia, Canada, England and Germany. This portion of the art installation is sandwiched between the nature center's American Alligator enclosure and the Butterfly Aviary. *There are 3 other walls that are covered with mosaic butterflies. 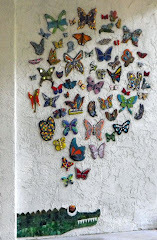 (above) This photo shows a cross-section of the butterfly cloud on the main wall. This wall includes artwork from throughout the United States, Russia, St. Lucia, Canada, England and Germany. Please contact me for additional photos and information.